Welcome to Jerrys Cycles "VINTAGE ONLY" Online Store! 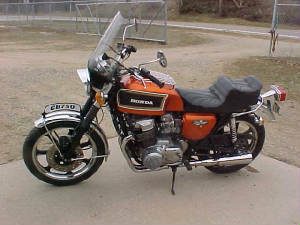 Specializing in vintage HONDA, YAMAHA, SUZUKI & KAWASAKI & EUROPEAN motorcycle parts and accessories. NEW vintage gaskets and cables for some Japanese bikes, great quality, made in Japen! Turn Signals, Tail Lights, Headlights, Bar Grips, MORE! We have been in business since 1997, and we pride ourselves on providing customers with the best-quality products and personal service. You can order from us using our online catalog. Paypal & all credit cards accepted at checkout. In this online store you will find HONDA, YAMAHA, BMW & TRIUMPH exhaust. 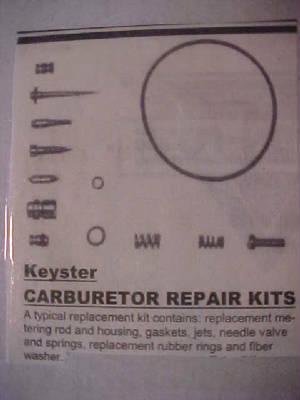 HONDA, YAMAHA, SUZUKI & KAWASAKI carburetor rebuild kits. Turn signals & tail lights for Honda, Yamaha, Suzuki & Kawasaki. Vintage Shock absorbers for BMW, BENELLI, MOTO-GUZZI, NORTON & TRIUMPH. plus much more! PayPal and credit cards accepted at check out! Click on any item below to view. We take pride in offering you our products, and hope that you'll find something in our catalog that you can use on your bike. Call or email and let us know what you want. Be sure and bookmark my site. If I do not have what you are looking for today, I may next week. My inventory is always changing.